Looking for a new summer activity? How does falling into water every 30 seconds sound? 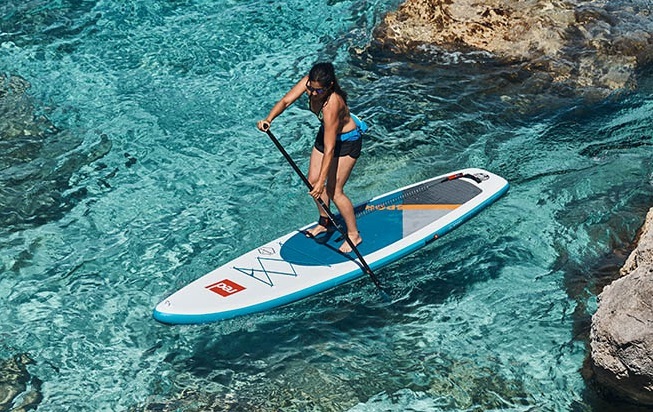 Joking aside, if you are looking to take up a new sport, one perfect for warmer weather, we heartily recommend paddle boarding. Although our experience of it was minimal, having merely 'had a quick go' while camping a couple of years back, we found it pretty easy to perfect and enjoy. To be fair, we had a excellent board on which to practice, reviewing the Red Paddle 11'0" Sport Inflatable Paddle Board. As paddle boards are fairly huge, certainly when compared to surfboards, it comes as no surprise to find that most are inflatable. 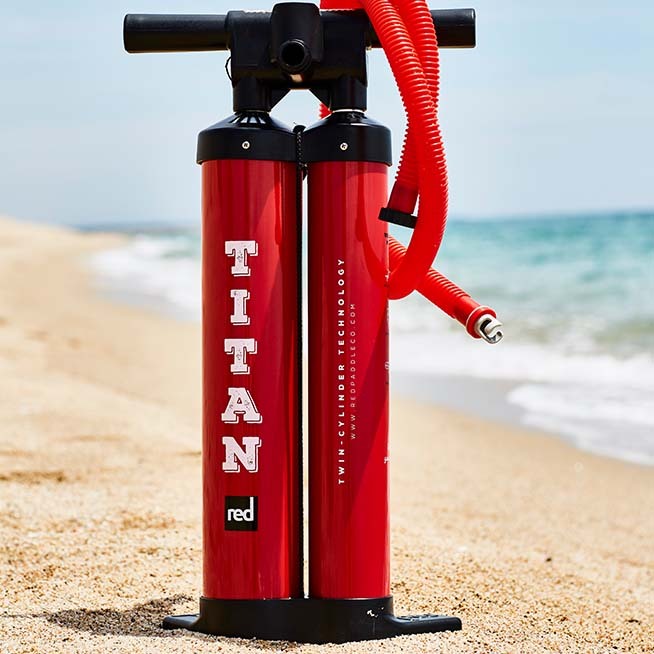 We were at first a little curious as to how something that gets inflated with a hand pump could be rigid enough to hold up our weight, and we were expecting a 'jumping on a lilo' situation, as you would in the pool on holiday. However, once pumped up, the board was amazingly tough. The Red Paddle 11'0" Sport Inflatable Paddle Board comes in a carry bag. 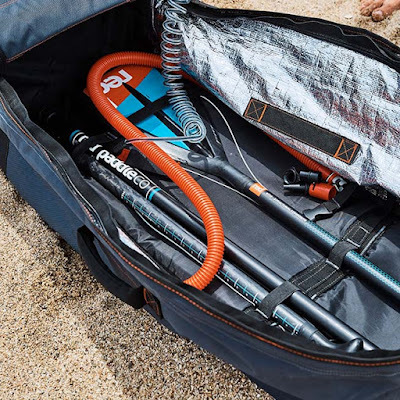 Granted, this isn't the kind of pack you 'll be comfortable strapping to your back and hiking over a mountain with, although for lugging from the car to the lake or beach it was fine. The reason for all that weight is not just the sheer expanse of the material for the board (it's 11 feet long, after all), but also because it comes with a Titan pump and a folding paddle. Getting it out and inflating the board is very easy, and we were initially quite impressed by the power of the hand pump. When laid out on the ground the board can seem quite intimidating and feels like it would take a lot of effort to inflate it to the required pressure. However, it takes just a few minutes of prep and pumping to get it ready. Then you're away. Obviously our ability to paddle board has nothing to do with Red, although compared to the piece-of-crap boards we used before, the Red Paddle 11'0" Sport Inflatable Paddle Board was a Range Rover. It felt very steady in the water, and not just because of the length. Side-to-side the board kept still, and it was far easier to build up speed with the paddle as the board was more forgiving in terms of weight distribution. The board itself seems rugged, and we had no fears about bumping into things while on the water, or even running-a-ground. The FCS Connect Fin that attaches to the base of the board, and goes a long way to helping you stay stable, will give you a warning when entering shallow water, bur all round the product is tough. But... and this is a significant but... this particular board costs just shy of a grand. Yep, 1000 huge pounds for a blow-up surfboard. That did put us off quite a bit, but we're not natural water sport guys. However, we did quickly realise that, for those of you who are already quite proficient at the activity, and looking for a higher spec board with all the pro bells and whistles, this could be for you. 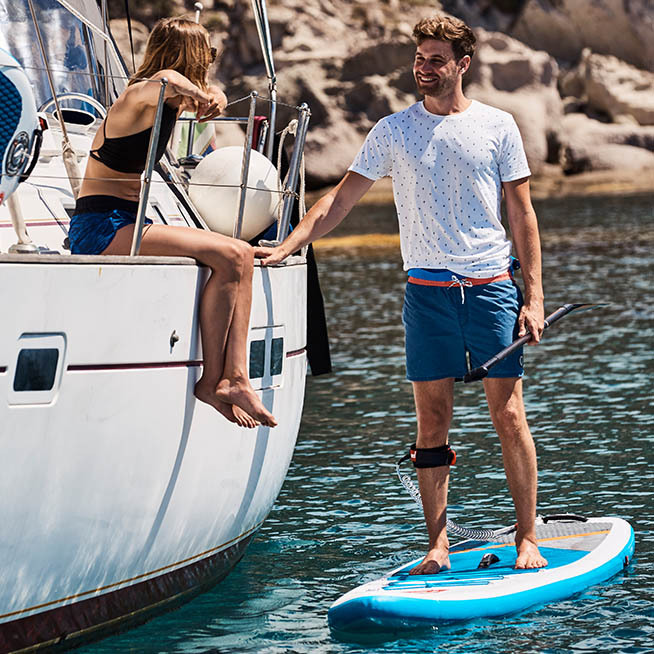 As well as boards, paddles, and equipment for paddle boarding, Red are also branching out with their Originals range: clothing and accessories for use on and off the water. Red were kind enough to bung us a few items from the range. Ooo, we do love a decent hoodie. This effort from Red is lightweight, making it a great garment to pull on after physical activity, and boasts two hand pockets built-in. The cotton body is delightfully soft and there are drawstrings on the hood. 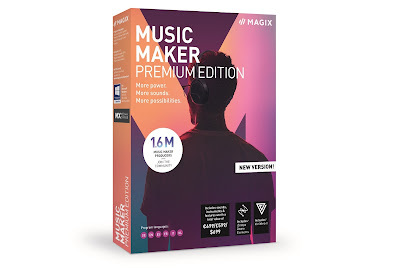 The Red logo is pretty iconic and looks great here, and for what it is, this is superb value. Imagine a cross between a dressing gown, a towel, and a hoodie. That's basically what this is: a large towelling poncho-like gown that lets you get dry and undressed with privacy. 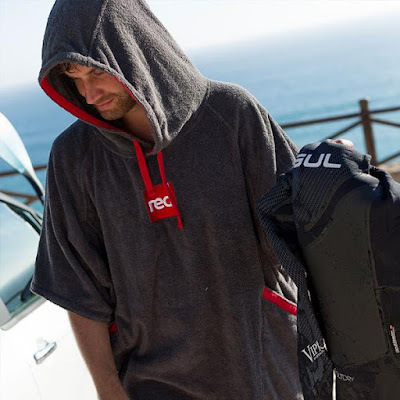 It might be ideal for getting your wet kit off after a paddle board adventure, but for general beach and pool use it's great as well. We love a decent drinks bottle, too! This stainless steel bottle is insulated enough to keep your warm beverages warm for hours, or cool drinks cool. 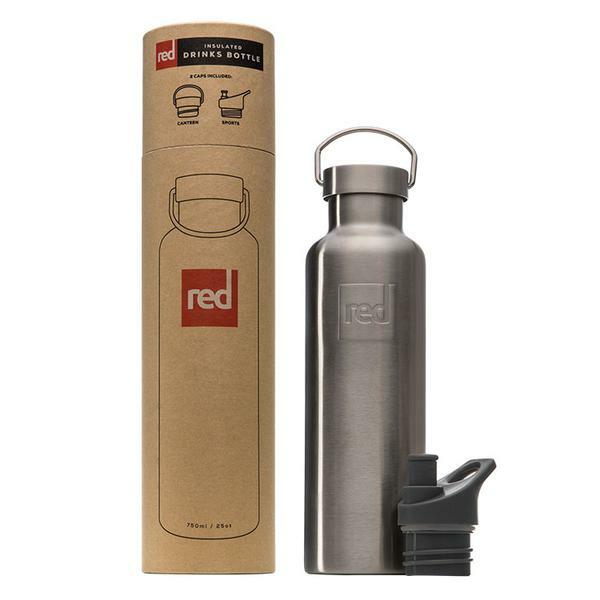 The 25oz capacity is slightly larger than similar bottles we've seen before at this price, and it also comes with a sports pour lid included - something you normally have to buy separately. We like.